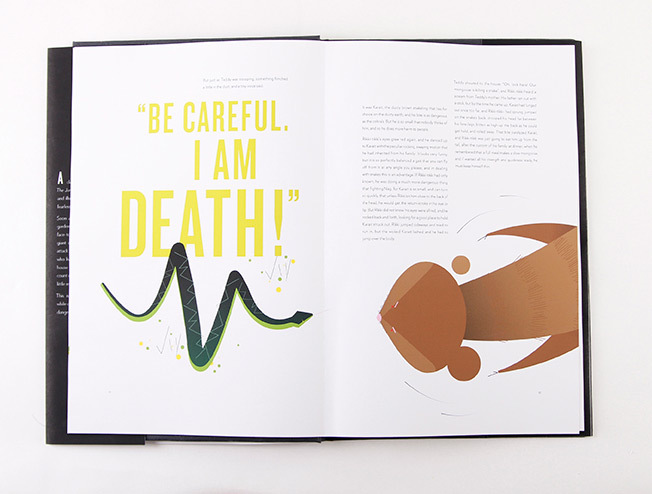 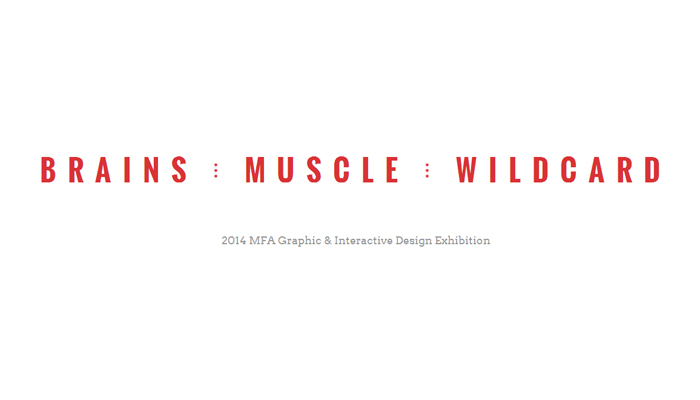 In teaming up for their exhibition date last week as part of the 2014 Tyler School of Art MFA Graphic and Interactive Design Thesis Exhibition, designers Noopur Agarwal, David Jones, and Kathy Mueller joined forces to create Brains, Muscle, Wildcard, a joint website focused around key aspects of the design process (with inspiration from It’s Always Sunny in Philadelphia). 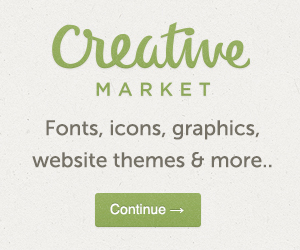 Check out their wonderful joint website and enjoy select pieces from each designer below. 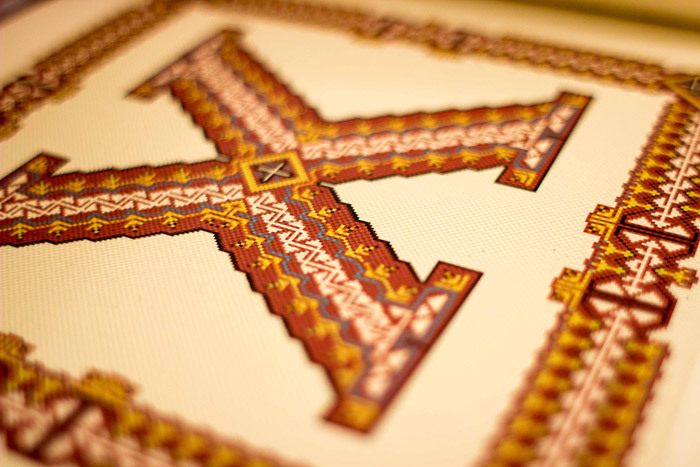 Congratulations to Noopur, David and Kathy for their hard work and accomplishments! 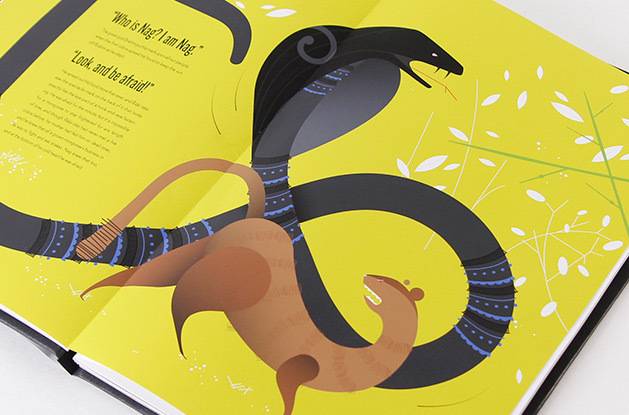 Tasked with the design challenge to illustrate and design an existing story, Rudyard Kipling’s classic short story was re-imagined. 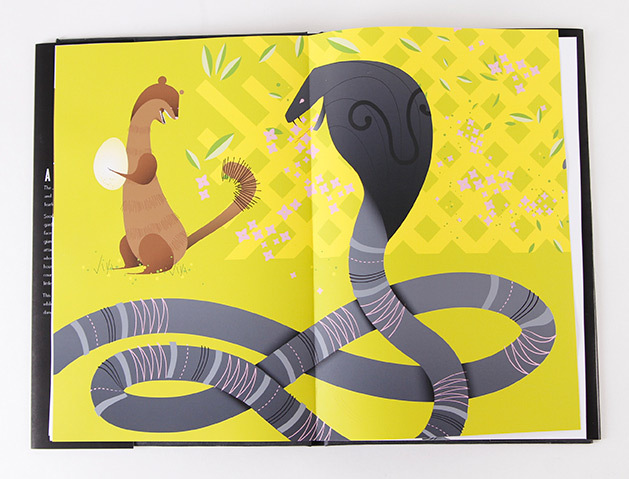 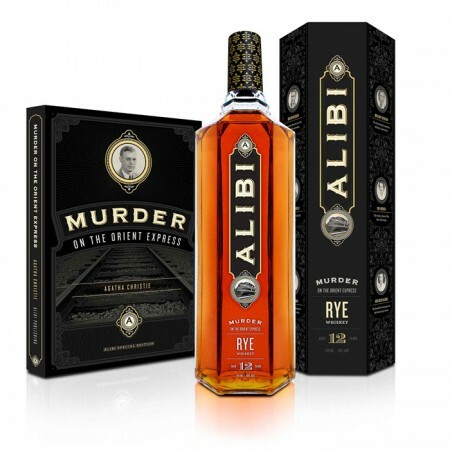 In this somewhat dark, coming of age story, Rikki, the courageous mongoose saves his newly adopted family from a pair of vicious cobras that terrorize the plantation grounds. 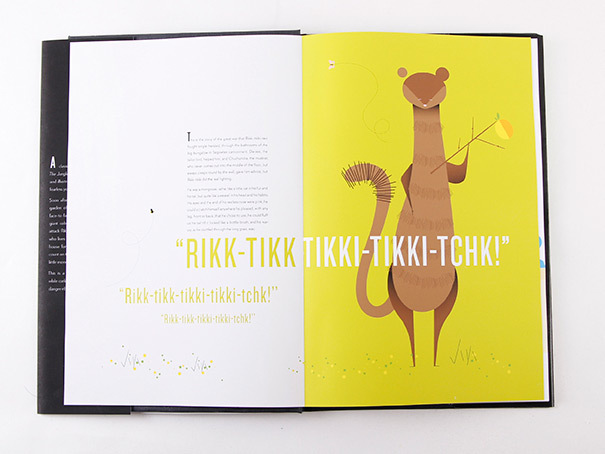 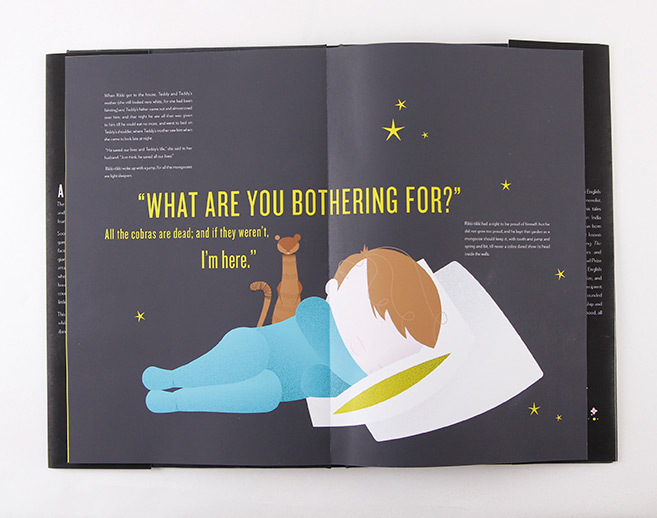 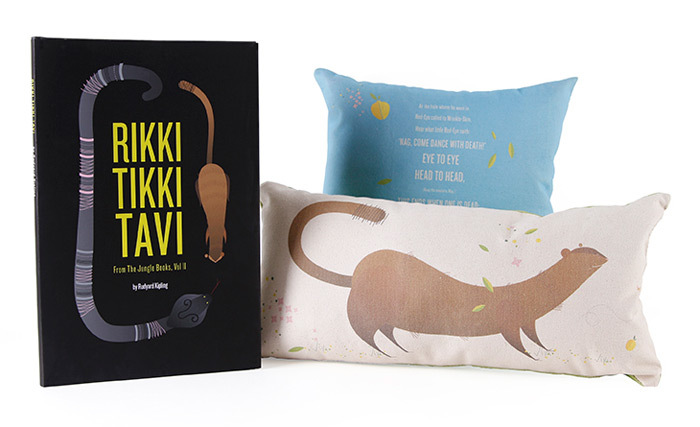 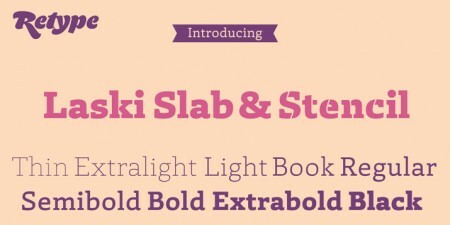 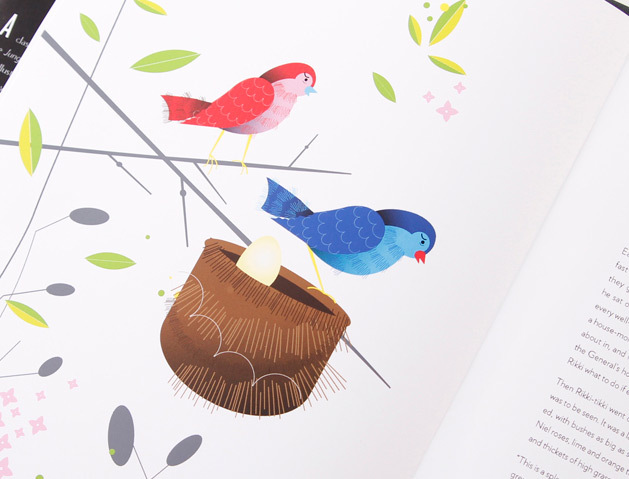 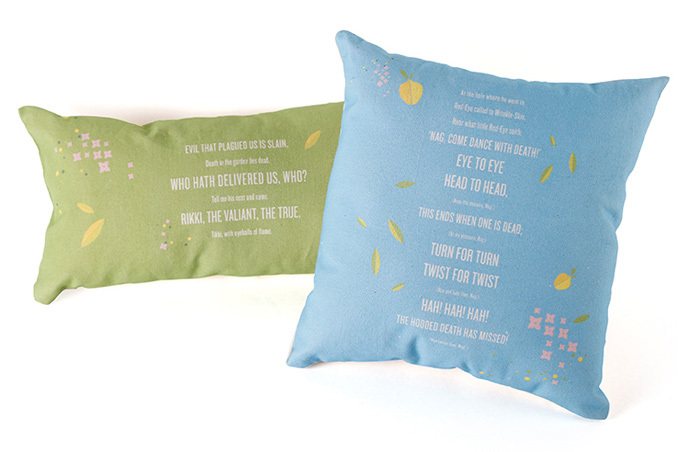 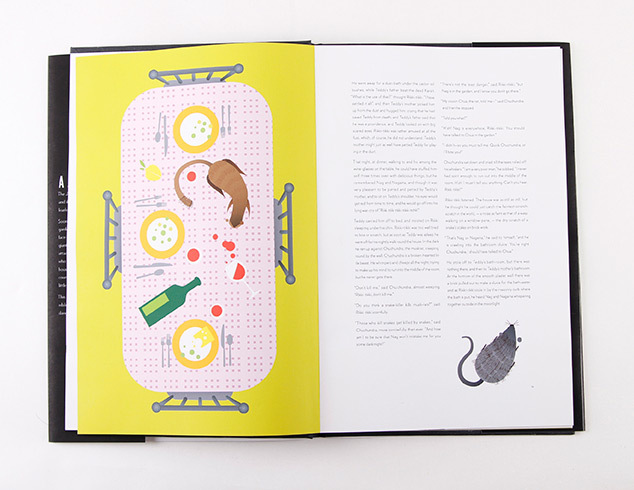 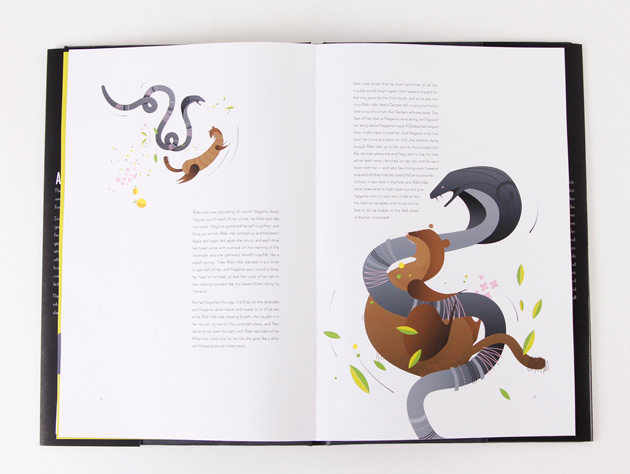 Utilizing an oversized format with vibrant colors and bold type, the book is meant to be read at bedtime while snuggling with the accompanying pillows. 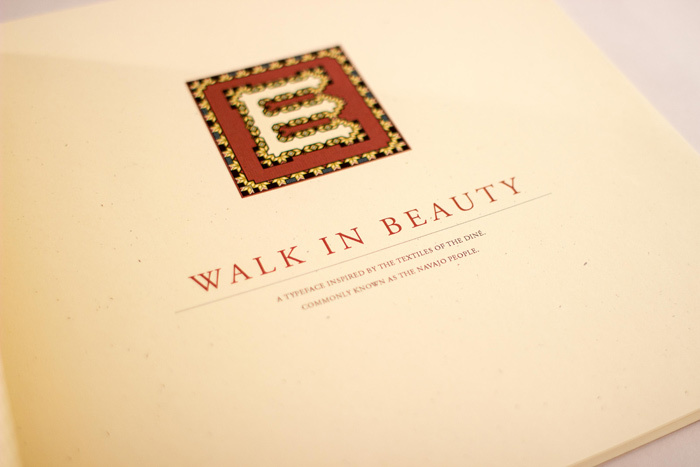 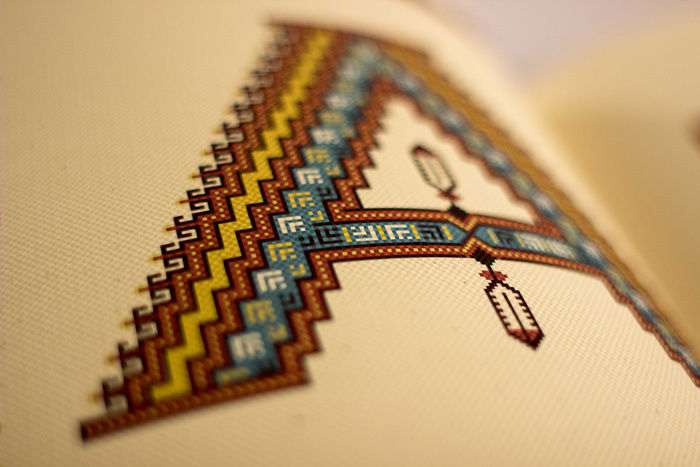 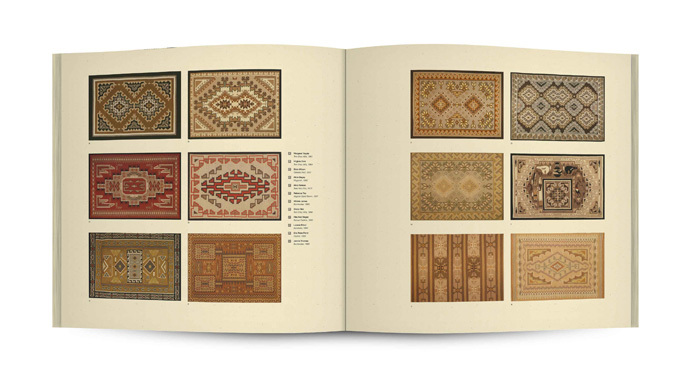 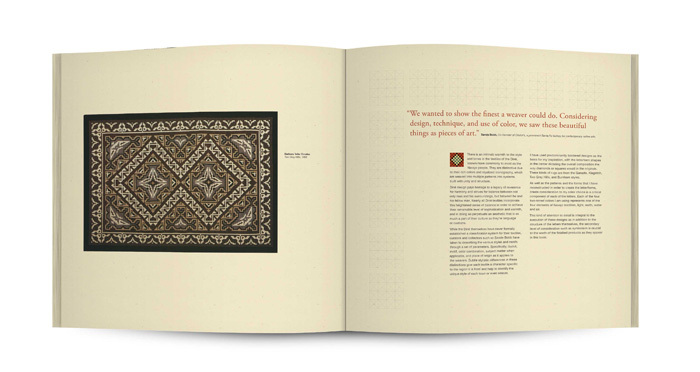 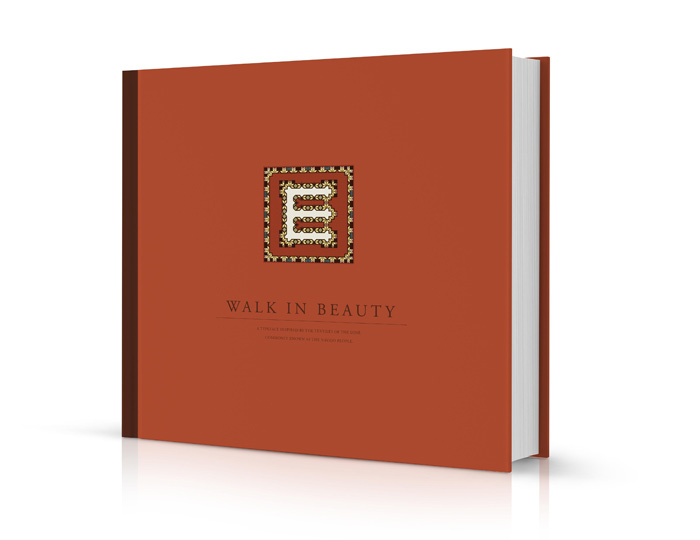 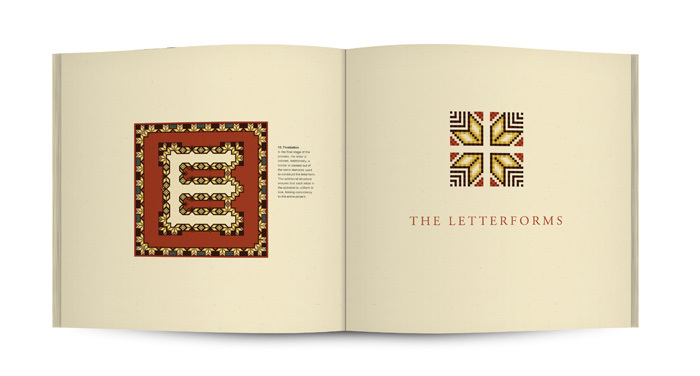 Walk in Beauty is a display typeface created as homage to the textiles of the Dine, commonly known as the Navajo people of the American Southwest. 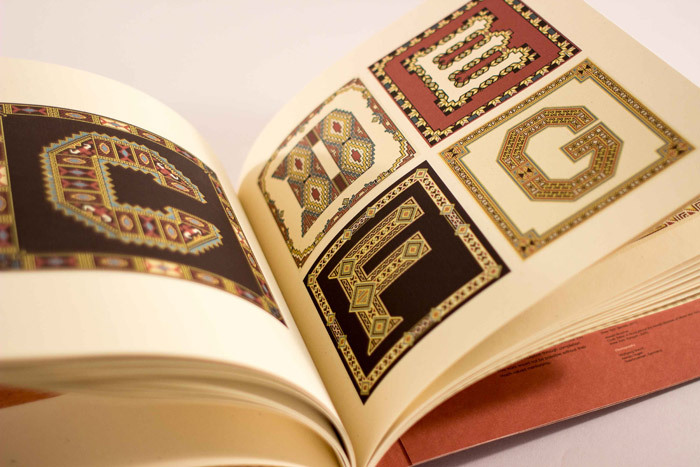 Each letterform is comprised of thousands of individual pixels which represent the wefts used in traditional weaving techniques. 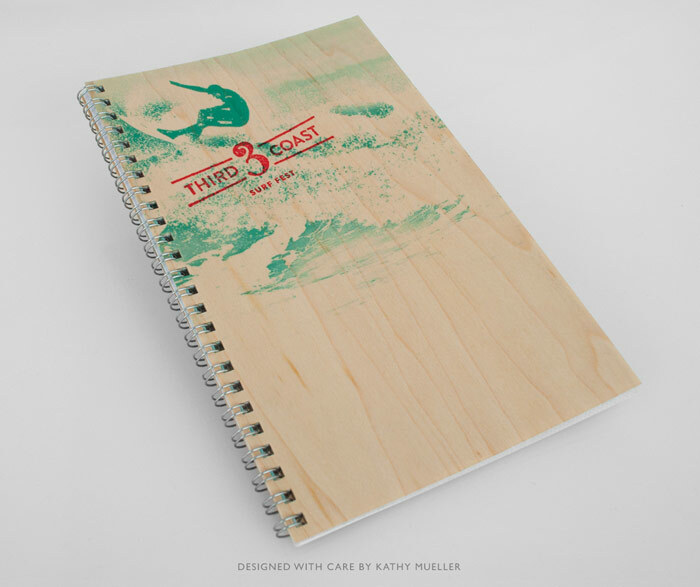 Third Coast is a freshwater surfing festival held in Wisconsin on Lake Michigan. 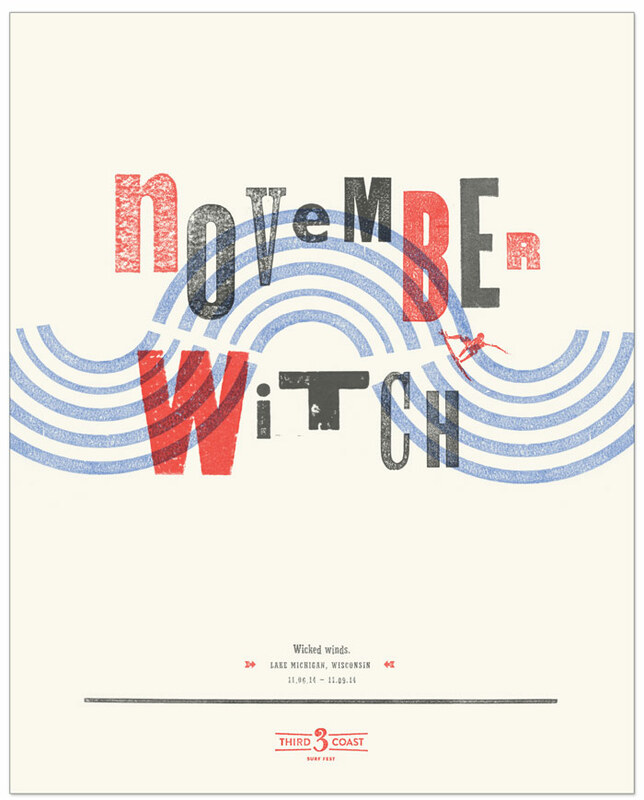 In the fall strong winds, called “witches”, blow through making surfing possible. 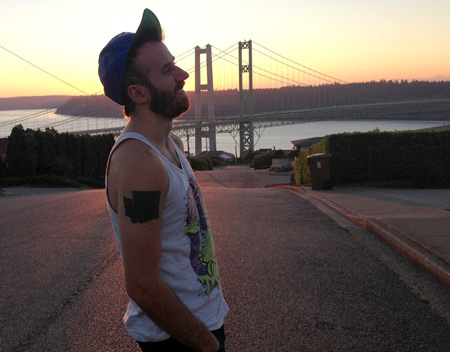 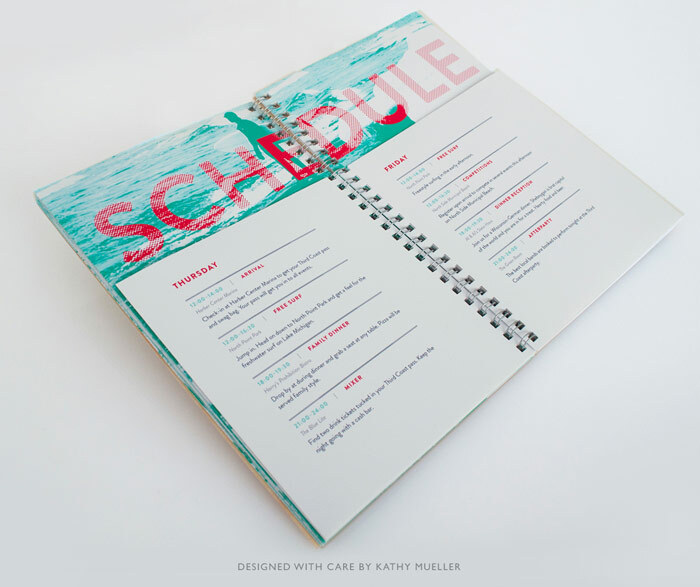 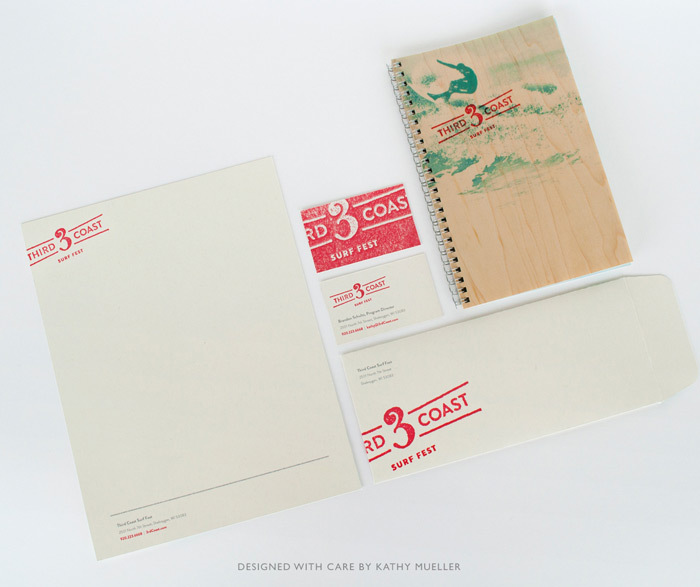 The project includes identity design, stationery, festival program, and poster series. 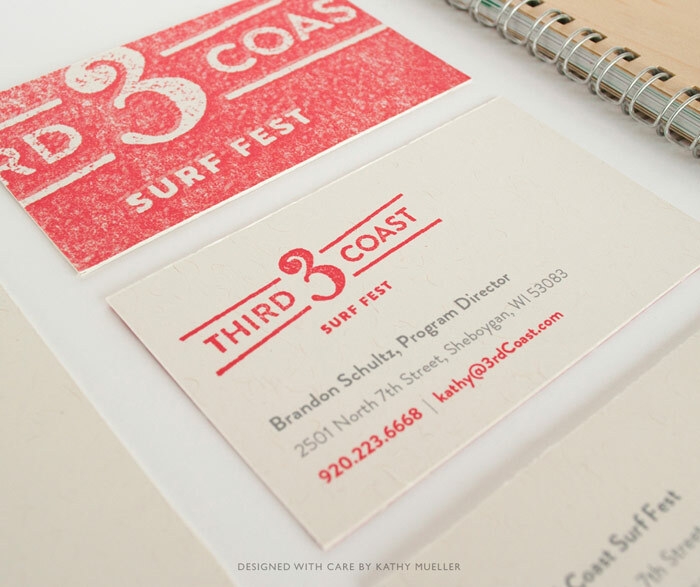 The logo is typographic in nature and features a custom drawn wave-like number 3. 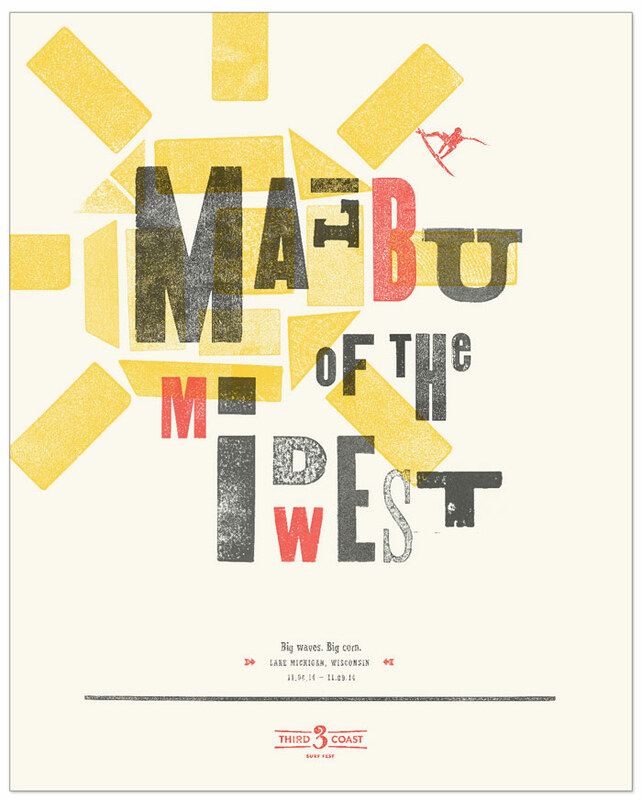 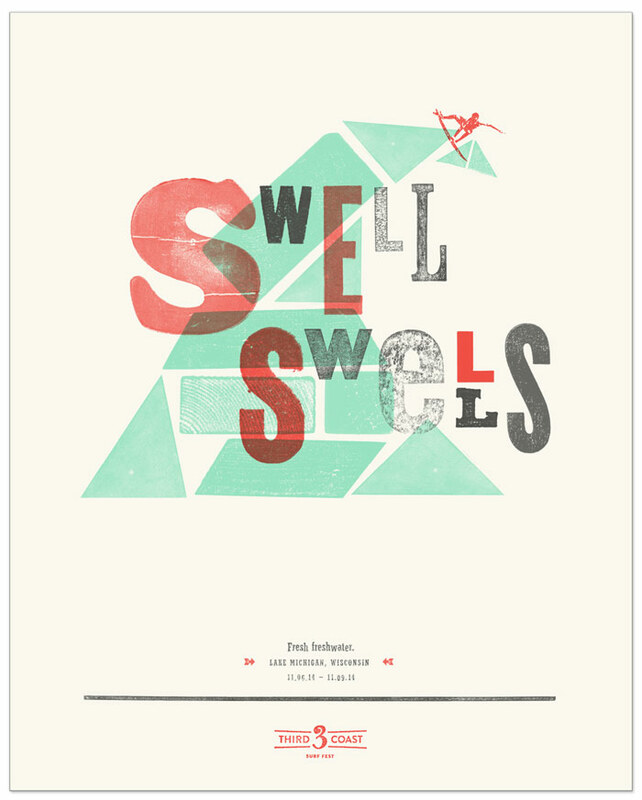 The mark has a rustic texture, applied on an angle and often bleeding and cropped.The poster campaign mixes the visual language of midwestern letterpress woodtype with surf copy and visuals.